Mclaren holds special track days for clients to go and get a feel for the McLaren P1 GTR and well in this accident the McLaren P1 was being driven by a professional driver who was trying to set a lap time that clients could try and beat. 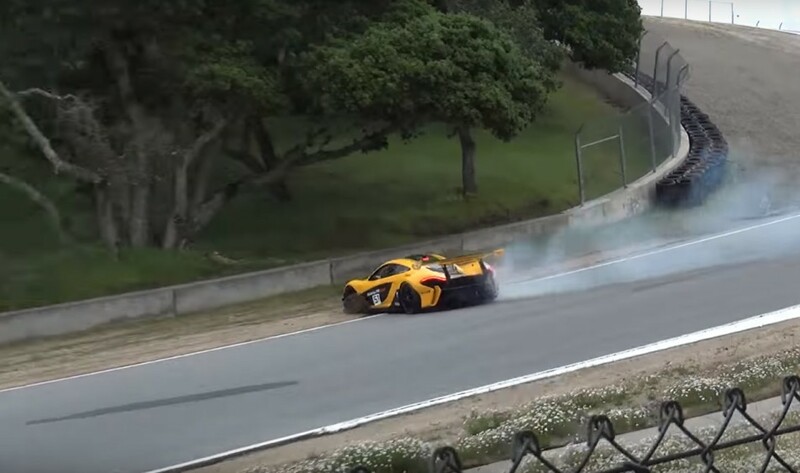 In the video below we see the driver taking the McLaren P1 GTR and giving it 100% and half way through the corkscrew, he loses control and spins out but manages to get the McLaren P1 GTR stopped in time within a foot or so of the concrete wall. As you can see from the video nobody was injured, and I doubt if the McLaren P1 will be either.